Having an industrial dehumidifier is vital if you have a lot of moisture in a large confined area. Large amounts of moisture in any building can cause problems that normally would not exist. Large industrial units allow for a high capacity of moisture removal, better airflow and excellent energy benefits. If you have a large area with high levels of indoor humidity it is important you get an industrial strength dehumidifier. 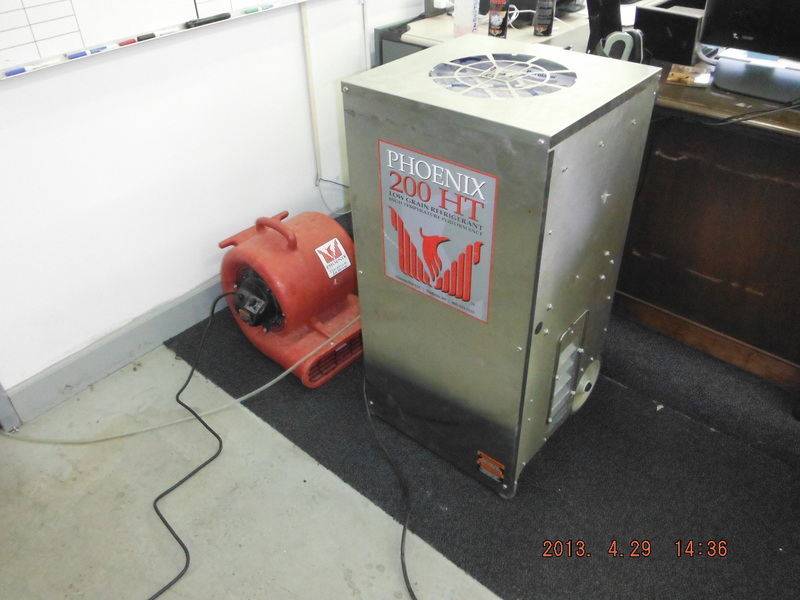 An industrial dehumidifier can be an essential piece of equipment for some businesses. Let’s say you paint cars or work on cars in a high humidity environment. Tools will rust and the paint will not adhere correctly. What if you manufacture a food product like chocolate, health food bars, or even dog food and when you take large quantities of food out of an oven then the moisture it is letting off could cause the building to sweat. What if you are a contractor building a large in-door pool and you will need an industrial dehumidifier to help the end user control the humidity. These are all specialized situations and ones that an experienced humidity control expert can help with. All these situations will require different dehumidifier capacities and this must be calculated properly or else the problem will still exist. The same can be said for just about any area with a high humidity problem. If the industrial dehumidifier is not sized appropriately to the amount of air it is drying then there will still be an issue. This is why it is important to have a professional who does this kind of work for a living to size the unit to your specific area. Other situations we run across often that require industrial dehumidifiers are garages, warehouses, and storage areas. These spaces may not be used on a daily basis and so in cases like that it is recommended that the unit you purchase have a dehumidistat on it so that it can turn itself on and off as needed. This device allows you to set a low and high humidity range and when the unit reaches the low range it will shut itself off and when it reaches the high range it will turn itself on. This way no one physically has to be there to turn it on and off. If you are in the market for an industrial dehumidifier then make sure to call someone that can help walk you through the process of sizing the unit to the amount of air to be dried. This is the most crucial step in the selection process. Excessive moisture in a warehouse is going to take its toll. Not only will the humidity affect your supplies (boxes and packaging supplies) but also your machinery, tools, and products. In a large space like a warehouse, it is vital that you have an industrial dehumidifier to filter out the moisture that spikes mold growth which can damage your entire stocked inventory. This article was published on Tuesday 04 June, 2013.